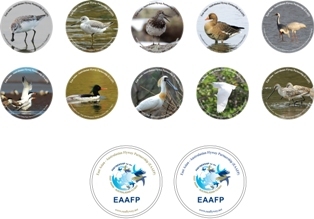 As EAAFP logo is the most fundamental material to prepare EAAFP-related events like National Partnership Workshop, EAA Flyway Site Network ceremony, World Wetland Day and World Migratory Bird Day, we make it available for Partners to download from our website. The EAAFP Secretariat encourages good use of the logo for your own EAAFP-related event from an international/national/local perspective. 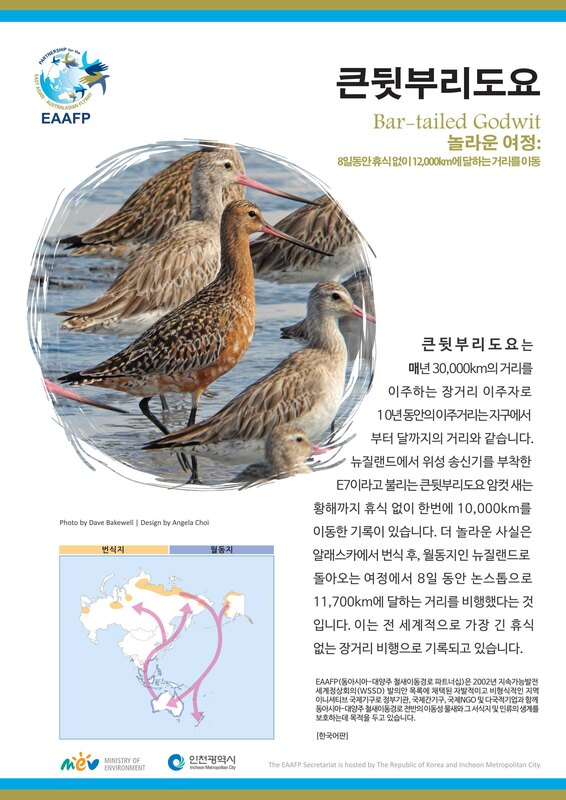 The electronic version of the latest EAAFP Information Brochure published in December 2016 is available for download in English and in Korean. 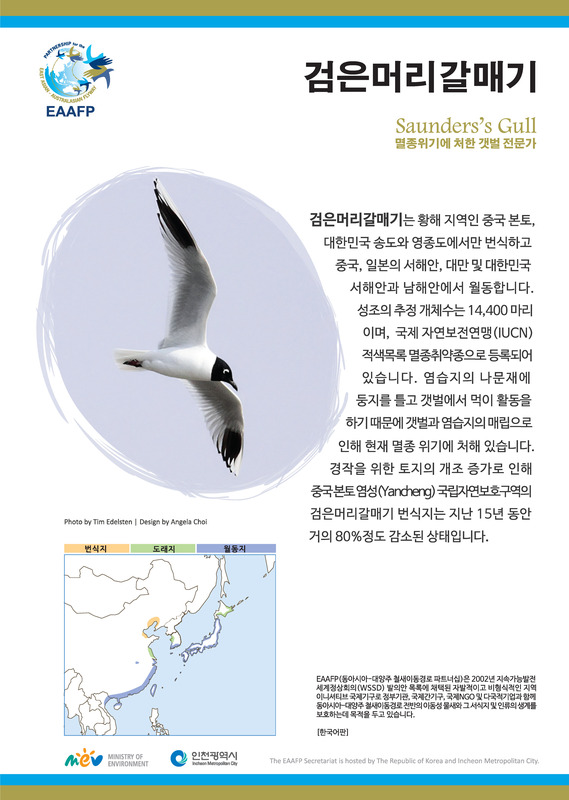 All files are in pdf format. 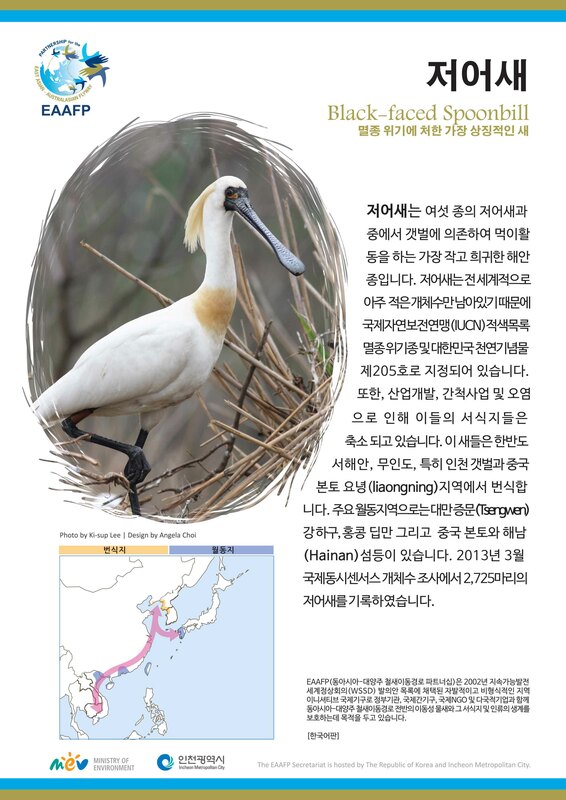 Download the Adobe Acrobat reader. 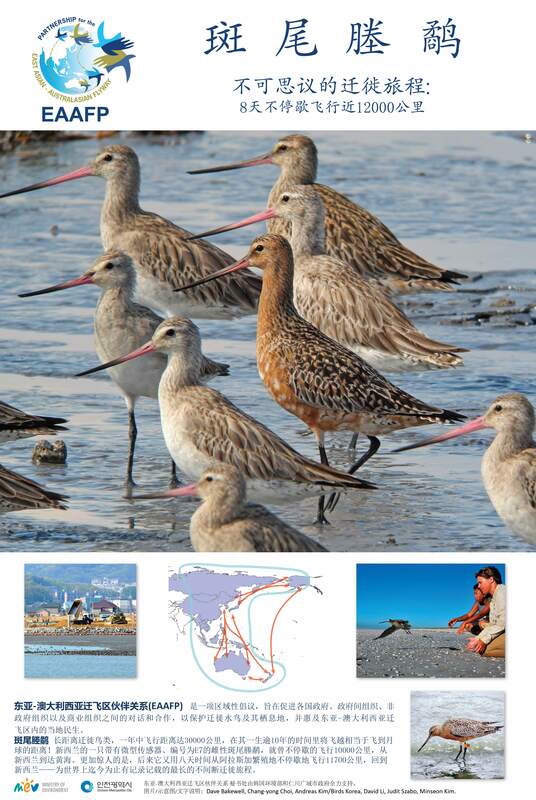 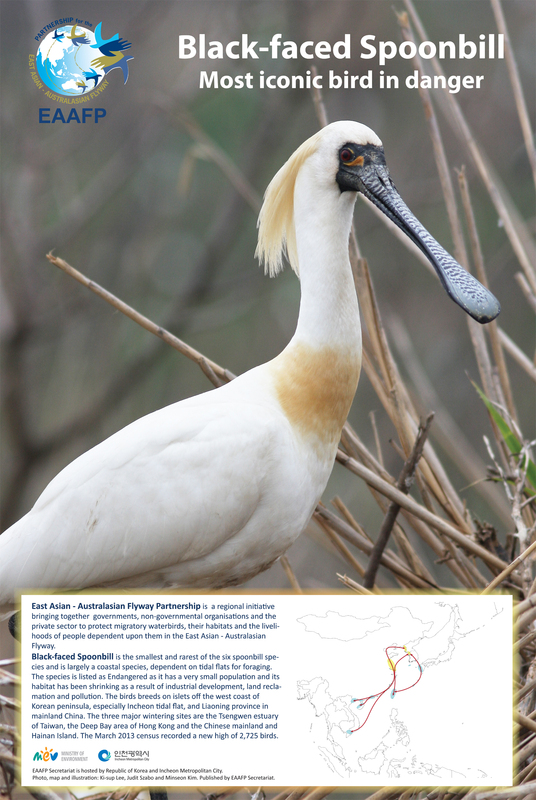 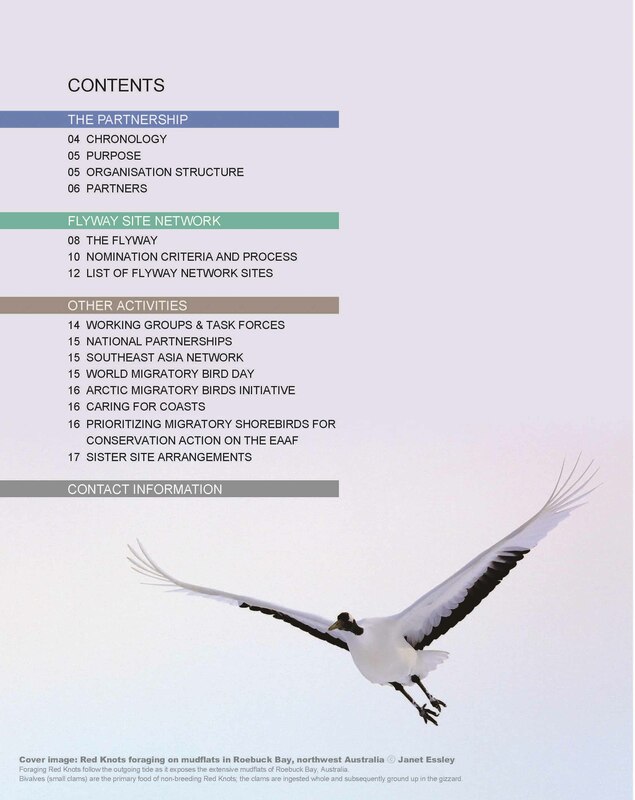 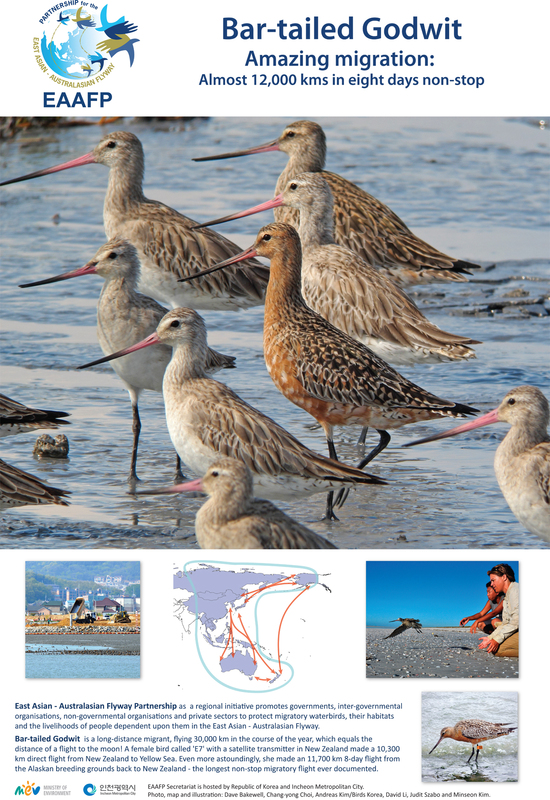 The EAAFP Information Brochure illustrates and explains the history, goal, Partners, Flyway Site Network and current activities of the EAAFP. Please click the following links to check contents before downloading. 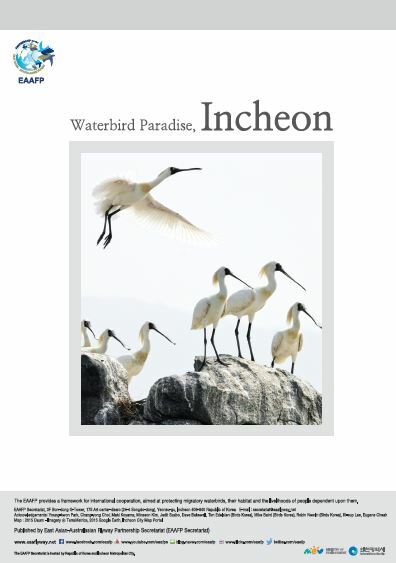 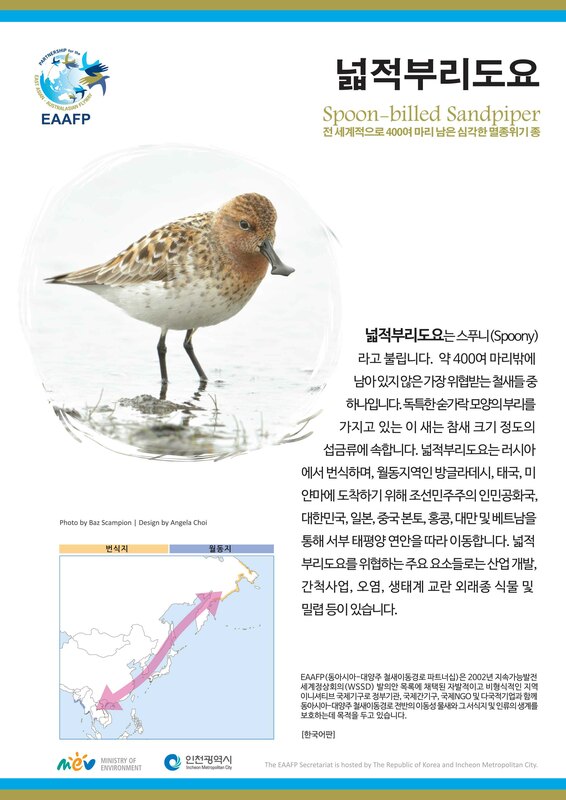 The electronic version of the latest Incheon Information Brochure called “waterbird paradise” is available in English and Korean. 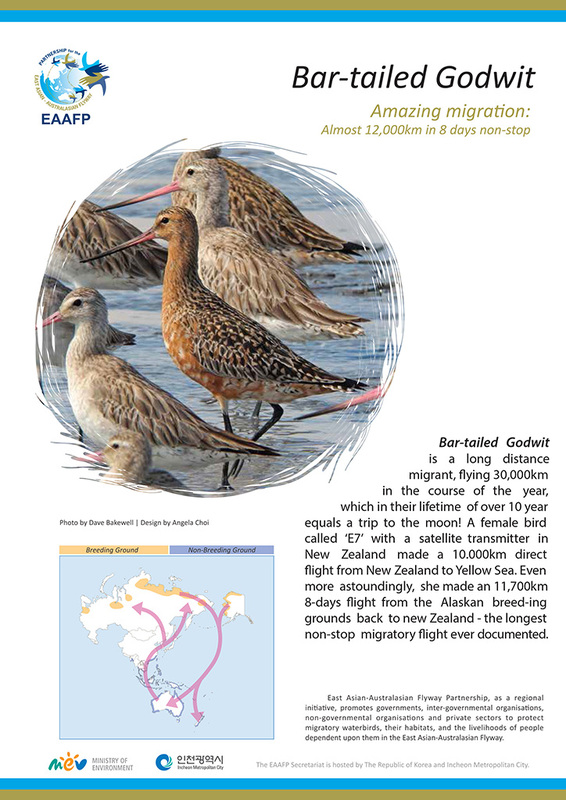 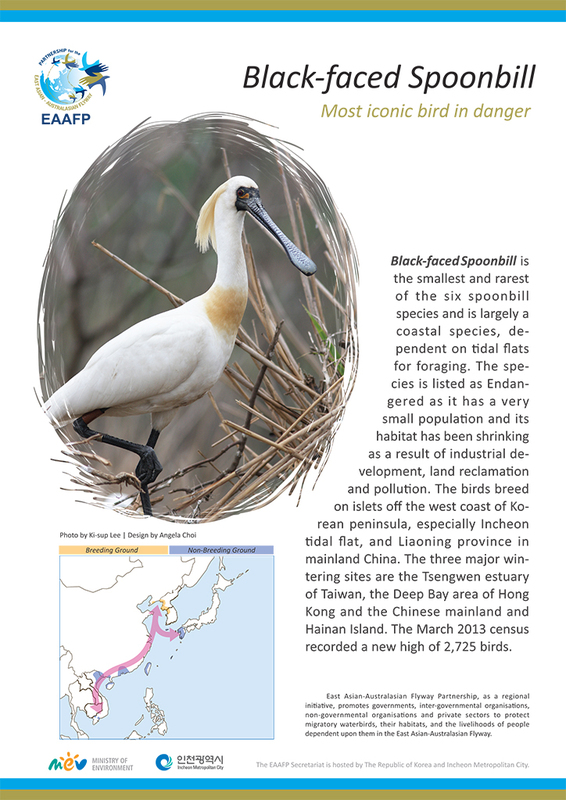 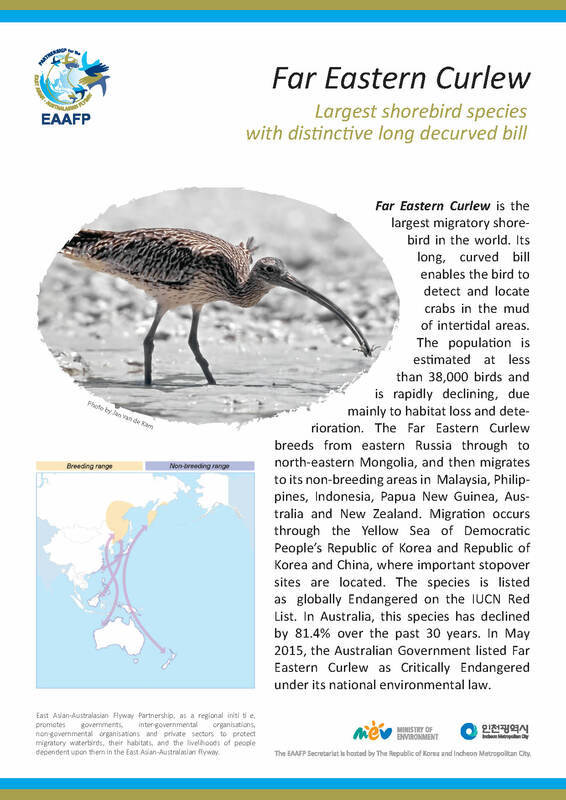 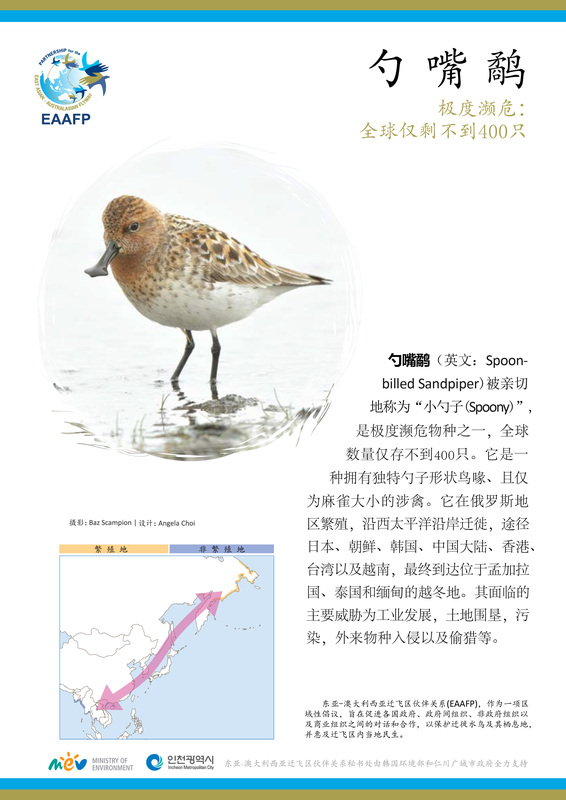 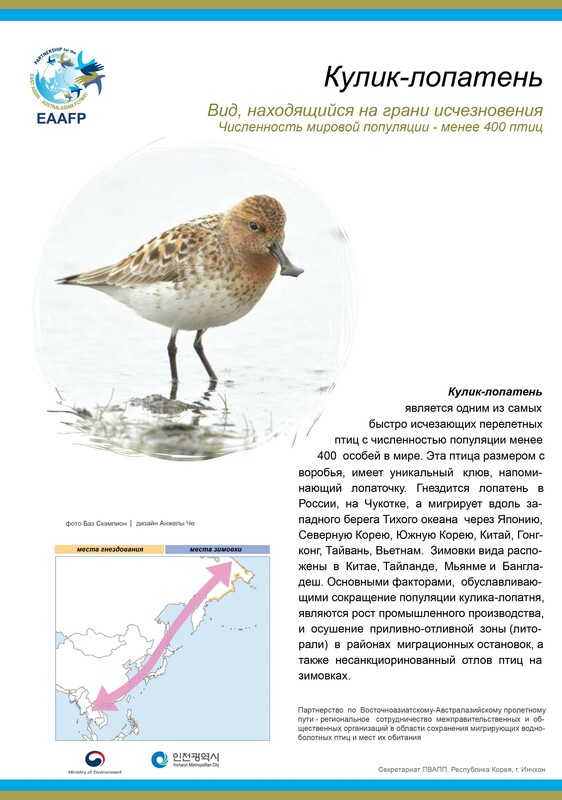 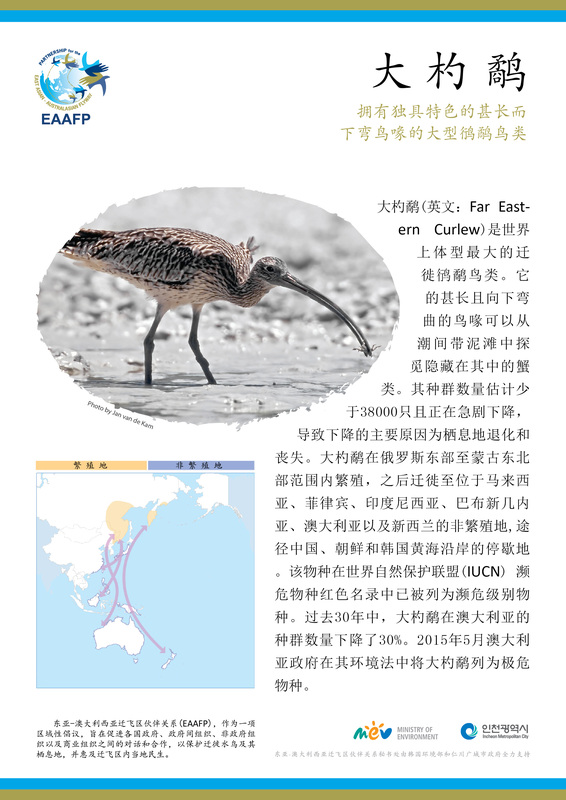 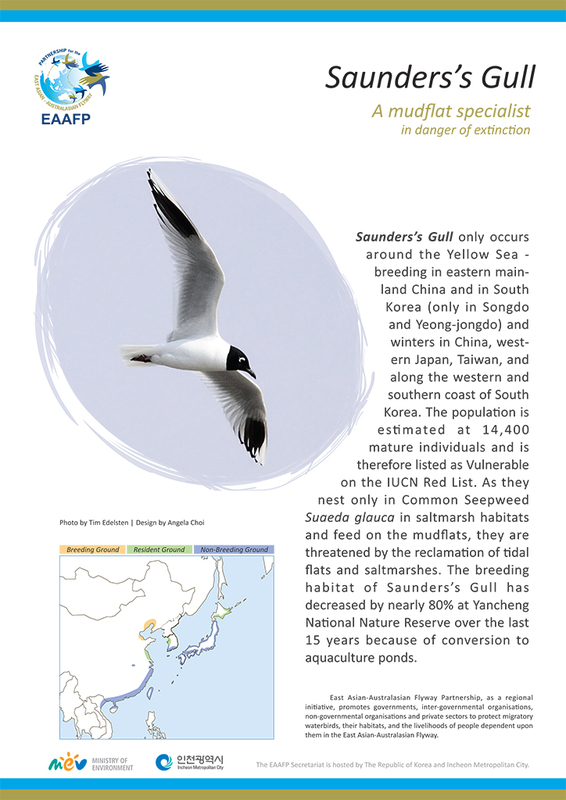 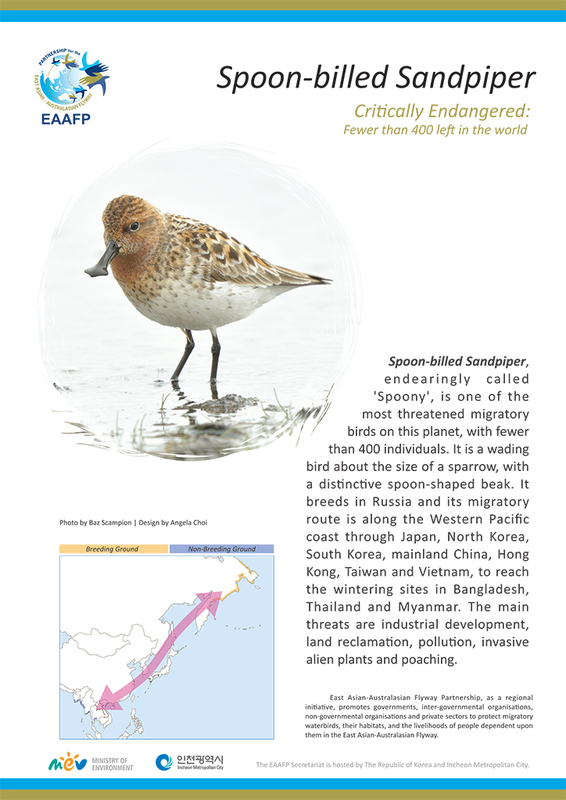 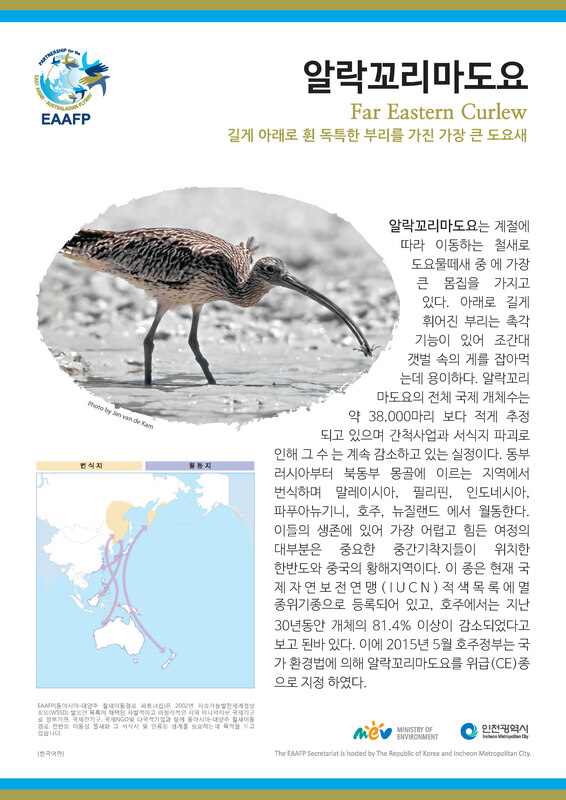 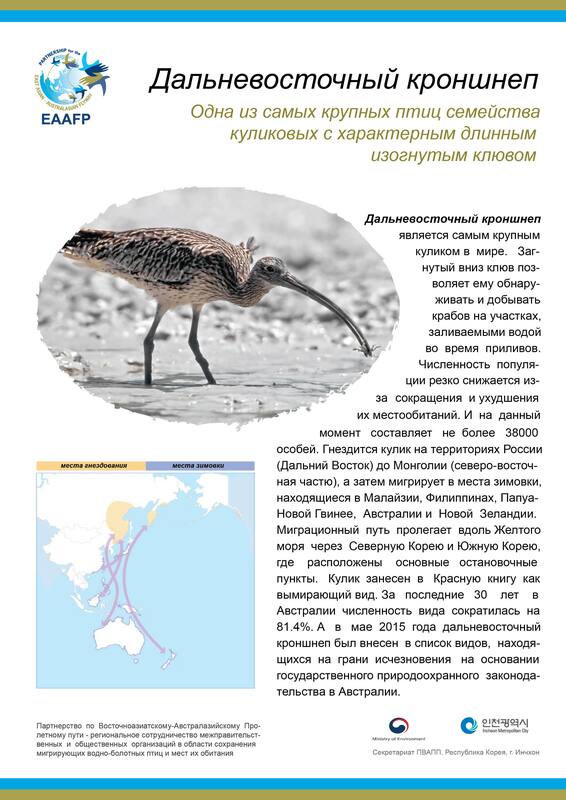 Here are five major species flyers of Spoon-billed Sandpiper, Saunders’s Gull, Black-faced Spoonbill, Bar-tailed Godwit and Far Eastern Curlew with their general species information and migration. 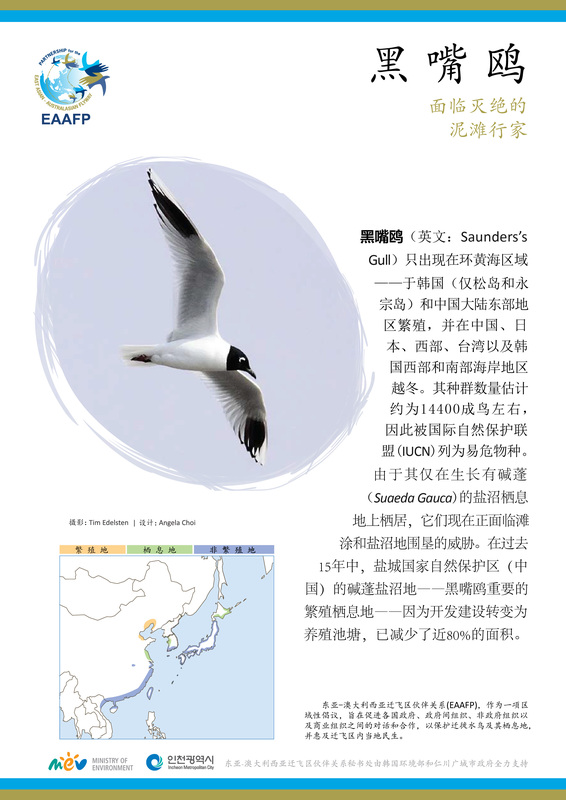 Upon request, the design file of the flyer can be sent to share and customize for local language version. 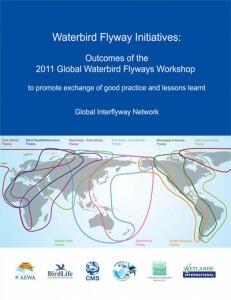 Please contact us at: secretariat@eaaflyway.net for further question. 10 sticker patterns (Spoon-billed Sandpiper, Nordmann’s Greenshank, Great Knot, Greater White-fronted Goose, White-naped Crane and Siberian Crane, Chinese Crested Tern, Scaly-sided Merganser, Black-faced Spoonbill, Chinese Egret, and Asian Dowitcher). 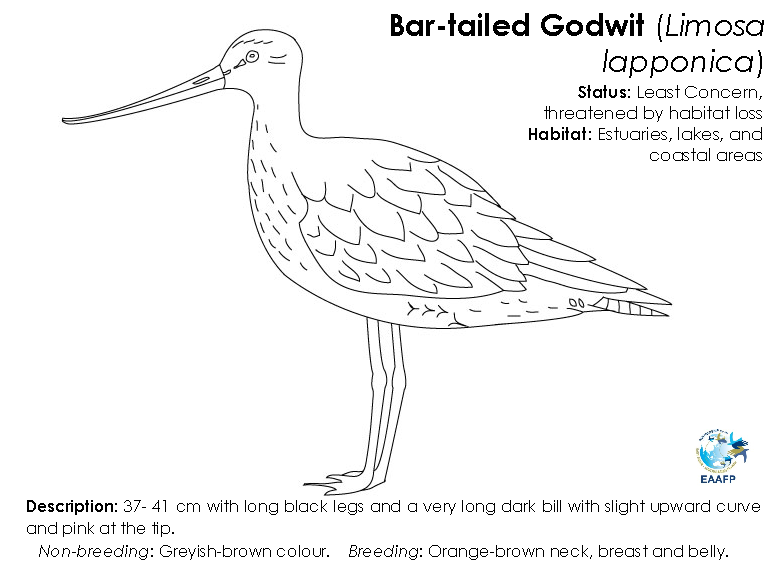 When a small number of the stickers is needed, we can post it to you upon request. 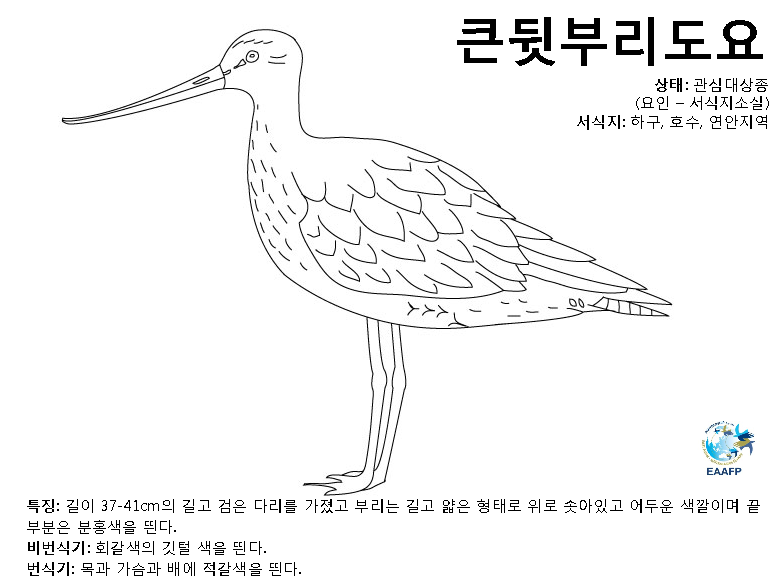 Please note that our logo cannot be used for commercial purposes. 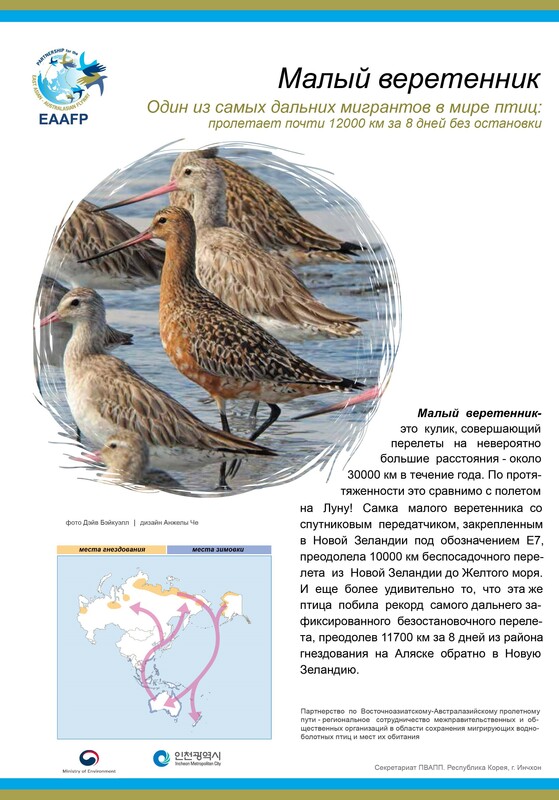 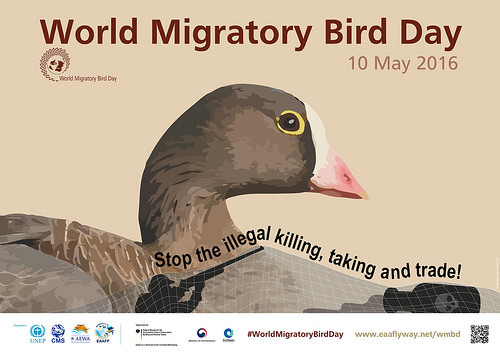 Colouring templates of 6 migratory waterbird species (White-naped Cranes, Baikal Teal, Bar-tailed Godwit, Eastern Curlew, Scaly-sided Merganser, and Spoon-billed Sandpiper) developed for the WMBD 2014 by the EAAFP Secretariat.